A solitary young wolf crossed the state line from Oregon into California’s Siskiyou County a few days ago, marking the first documented sighting of a gray wolf in the state since 1924. California Department of Fish and Game said the 2-1/2-year-old male, known as OR-7, traveled more than 300 miles from the remote northeastern corner of Oregon into the northern California mountains, which is prime wolf habitat. The wolf, and any others than might find their way into California, are federally protected by the Endangered Species Act. As elsewhere in the Mountain West, wolves formerly roamed throughout much of central and northern California until they were eradicated in the 20th century, removing their important ecological role as a top predator. OR-7 is a descendant of Rocky Mountain wolves, like those that were reintroduced to Yellowstone National Park beginning in 1995. The return of wolves to the Greater Yellowstone Ecosystem has thinned elk numbers and forced herds to move more, rejuvenating streamside vegetation and benefiting beavers and songbirds, according to the Center for Biological Diversity. 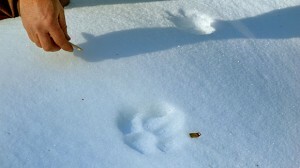 Wolves have also reduced coyote numbers, to the advantage of fox and pronghorn populations. Similar effects could help ecosystem vitality in California. While the U.S. Fish and Wildlife Service currently has no plans to recover wolves in California, the highly migratory species could establish significant numbers within the state on its own, if more wolves follow in the footsteps of OR-7. 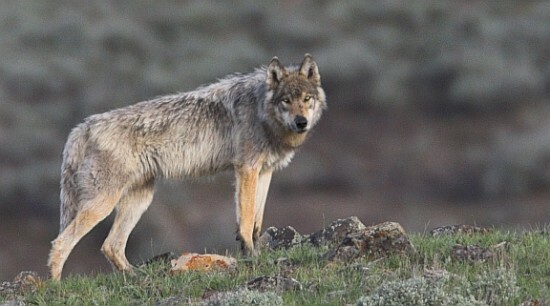 The California Wolf Center notes that wolves dispersing from Idaho have been confirmed in Oregon, from an original lone female identified in 1999 to the more recent confirmations of adult pairs and packs with pups in 2008-2009. Wolves have also been confirmed in Washington state in recent years, and reports exist of wolves in the Cascade range in both Washington and Oregon. This mountain backbone could provide a natural dispersal route that could extend into California, Nevada and neighboring states, the Wolf Center reports. It’s likely, however, that the presence of wolves in California will spark the same controversy that wolf reintroduction has engendered in the Yellowstone region. For more on the history of wolves in California, and wolf recovery efforts across the U.S., click on the California Wolf Center’s interactive map. To see wolves in the wild, there’s no greater opportunity than a winter visit to Yellowstone National Park. Check out NatHab’s Yellowstone Wolf Quest, Ultimate Wolf & Wildlife Safari and Yellowstone Winter Photo Expedition adventures, for a personal encounter with wolves in the wild.